Ice box cake snow globe dessert: Ice box cake dressed up as a snow globe dessert for Christmas. 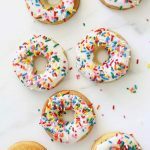 Such an EASY DESSERT to prepare, but it looks phenomenal. My favorite of the season. We’re already established that ice box cake is my most favorite dessert ever in the history of desserts, right? If you’ve never have it, please make this immediately. It’s as simple as can be to make: Whipped cream is layered with chocolate wafers. 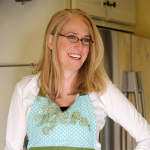 The refrigerator does the rest, turning the crisp wafers into a delicious cake-like texture. So, inspired by this snow globe cocktail, I turned my most favorite dessert ever in the history of desserts into a Winter time snow globe wonder. Or Christmas time snow globe wonder. 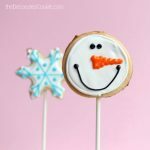 This ice box cake snow globe dessert is pretty easy to make, too. 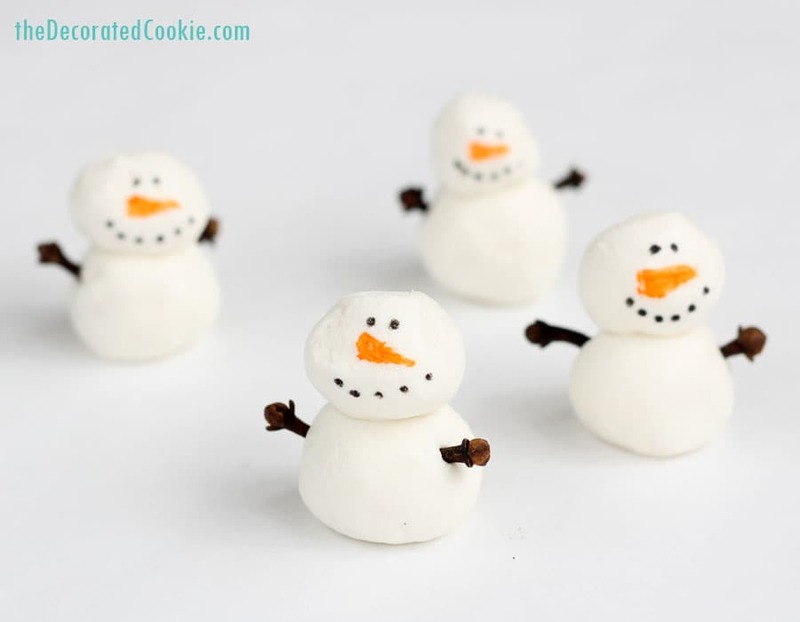 Here, I made my snowmen from candy clay, but you can use anything to craft the decorations. If you do choose candy clay, I highly, highly, highly recommend referring to Hungry Happenings instructions on making candy clay. Even better, her candy clay book is brilliant. 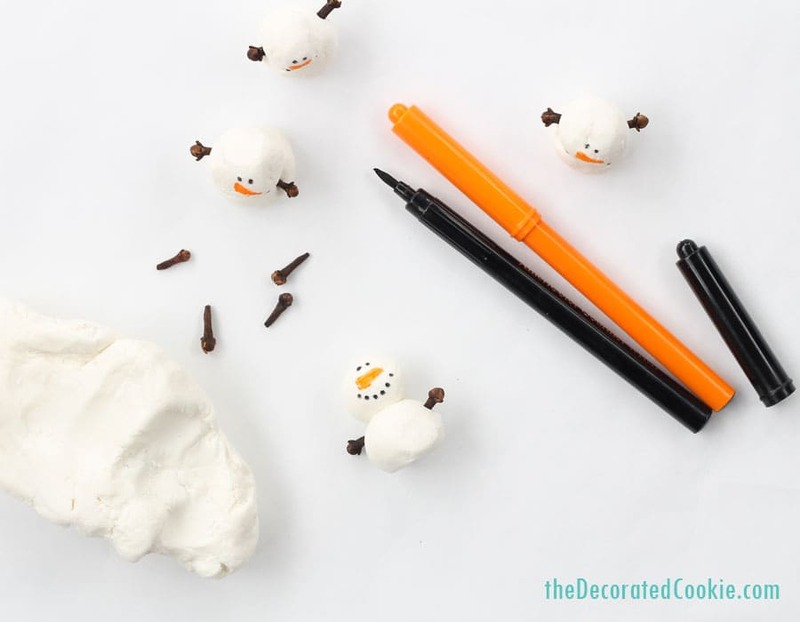 Or, instead of the candy clay snowman, add any other decorations you like. I thought about making these tiny gingerbread houses for them, too. 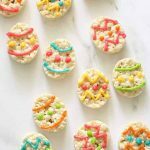 Add store-bought holiday candies to make these even easier to prepare. 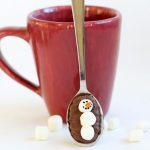 Or, use Christmas themed cupcake picks in place of the snowmen. 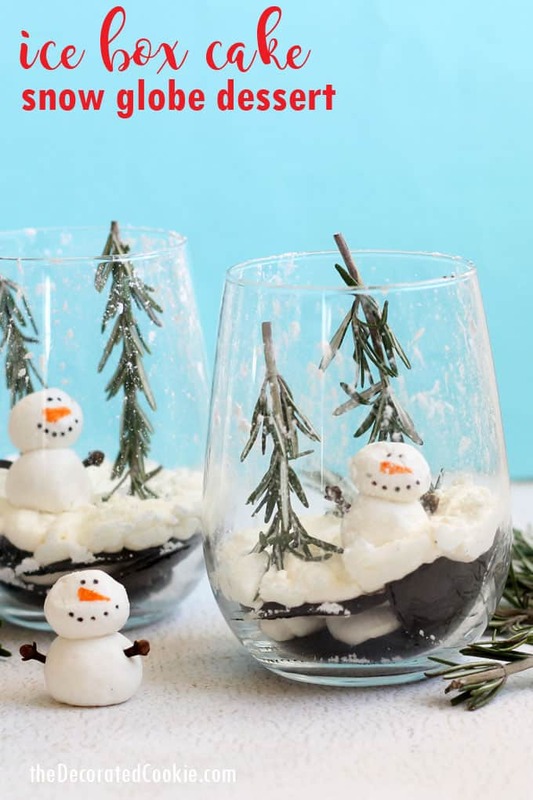 You may use any size wine glass for these, although you may have to adjust how much whipped cream you use. The bigger the wine glass, the more whipped cream, of course. But this recipe below should give you enough for any size wine glass. If your wine glasses are on the smaller side, you will have whipped cream leftover. The best part about this dessert is that you can make it the day before. Prepare the wine glasses with the ice box cake and refrigerate. 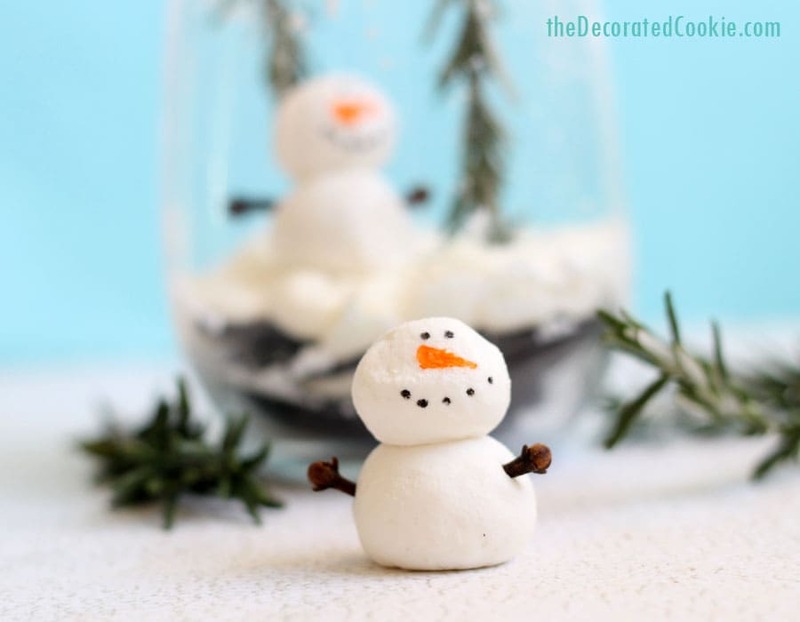 Prepare the candy clay snowmen and let them sit at room temperature. 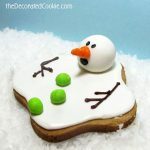 (If you’re using store-bought decorations or cupcake picks instead of the snowmen, then you don’t have to do anything there). 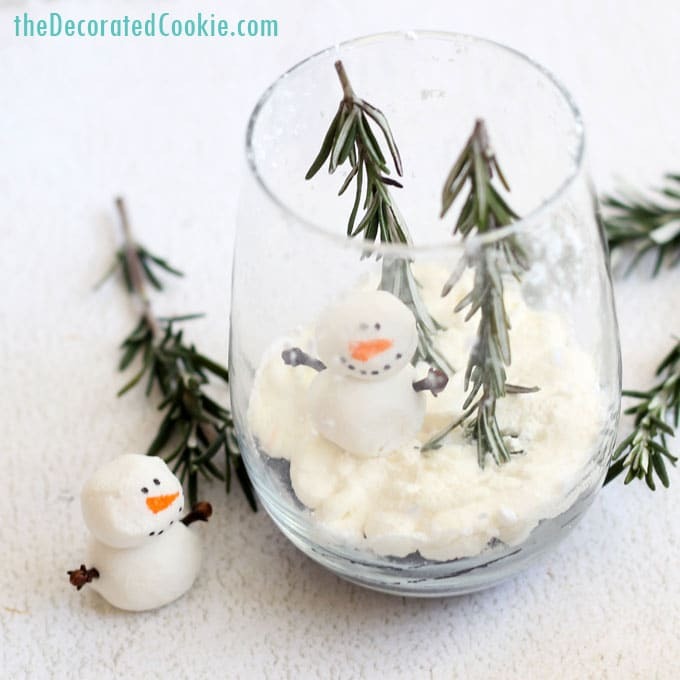 Right before serving, sprinkle powdered sugar over the glasses and pop the rosemary “trees” and snowmen in the glasses. That’s it! Snip 1-inch from the tip of the whipped cream and pipe a dab of whipped cream at the bottom of the wine glass. Place two chocolate wafers on top of the dab of whipped cream. Try and keep one wafer whole, the other you can break in half. Pipe whipped cream to cover the wafers. 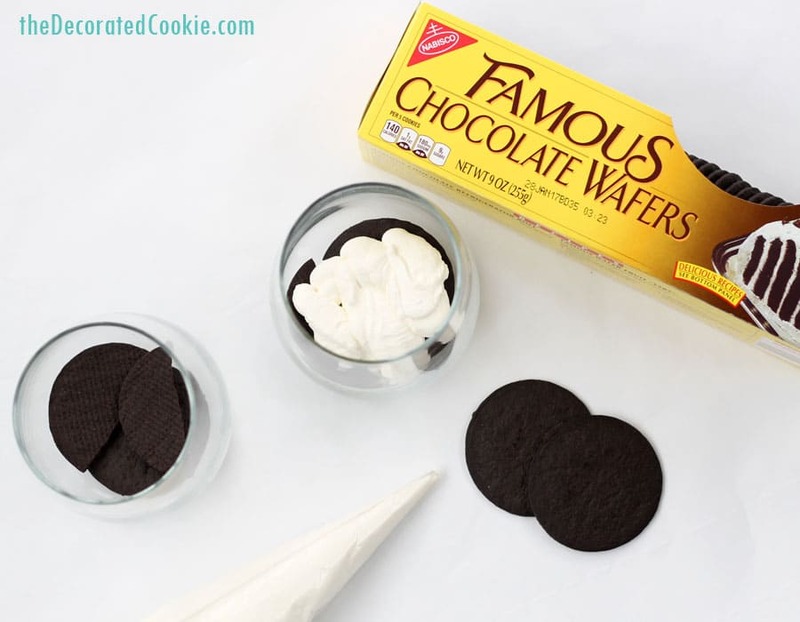 Add two more wafers (breaking one in half) and top completely with the whipped cream. Repeat with the remaining wine glasses. Refrigerate for 4 hours to overnight. 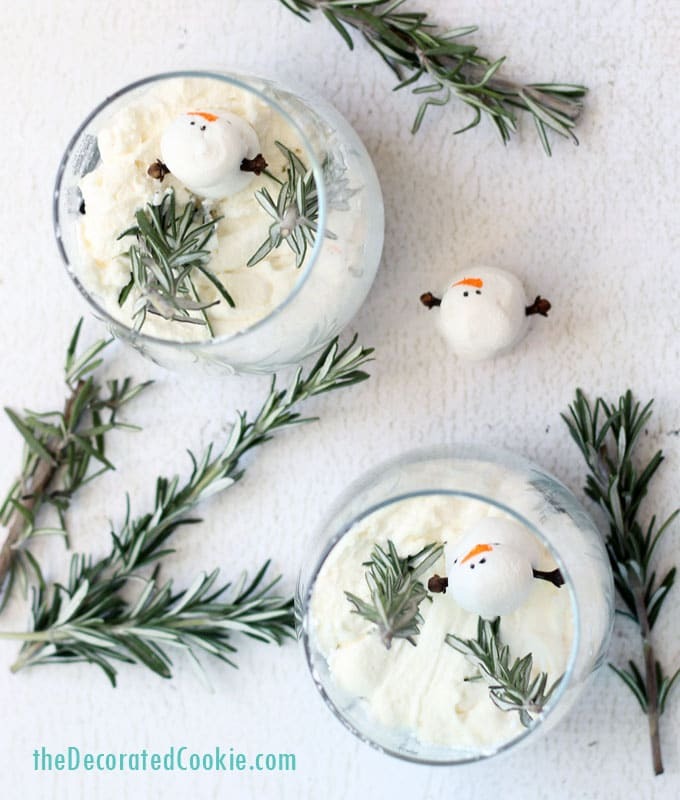 Just before serving, sprinkle some powdered sugar on the inside of the glass, add the candy snowmen and insert a sprig or two of rosemary. 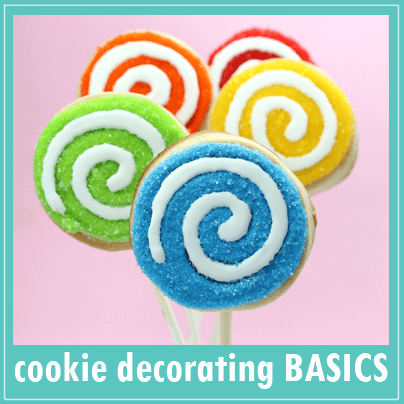 *Find the candy melts and food writers in the craft store, or see the affiliate links above. Candy melts can resist food writers, but I find the Americolor Gourmet Writers work well. Alternatively, you can use black and orange food coloring and a very small paint brush to make the faces. Pour the candy melts in a microwave-save bowl. Heat at 70 percent power for 90 seconds. Stir, and continue to heat at 15 second intervals until the melts begin to melt. Use the residual heat and stir until fully melted. Slowly stir in the light corn syrup. Pour onto a surface and knead until smooth. Wrap in plastic wrap and let cool before using. 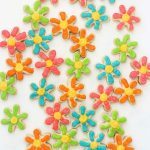 For full candy clay making instructions (recommended for important tips), visit Hungry Happenings. 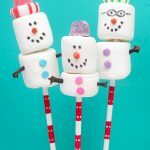 When the candy clay is ready, roll balls of candy clay and stack to make the snowmen. They should stick to each other, but if not, use a dab of honey or light corn syrup. Draw the faces and, if desired, insert cloves for arms. 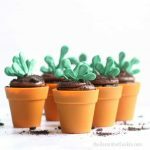 Just be sure to tell guests to remove the cloves before eating. 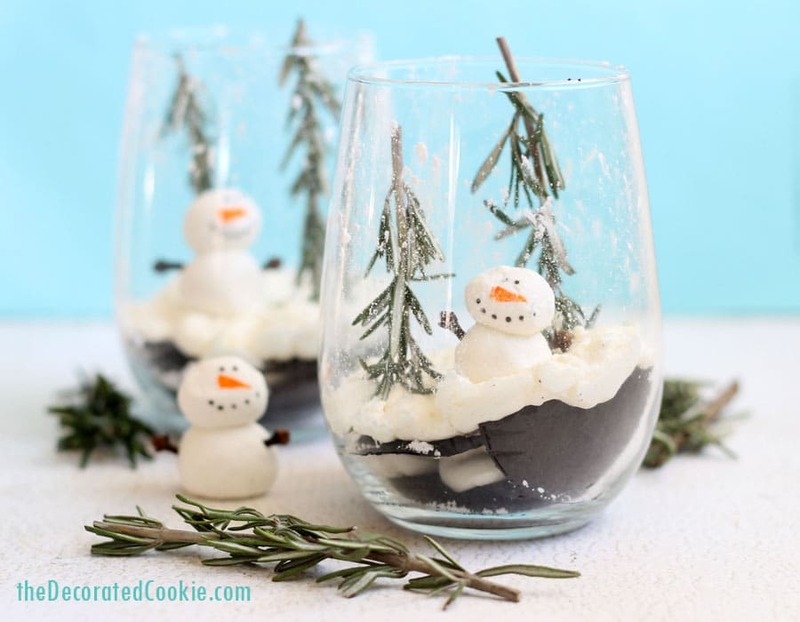 I love this sweet and simple winter wonderland! Well these make me so happy! 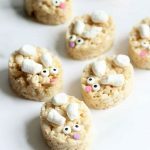 What adorable little desserts! Thank you! These are a personal favorite.